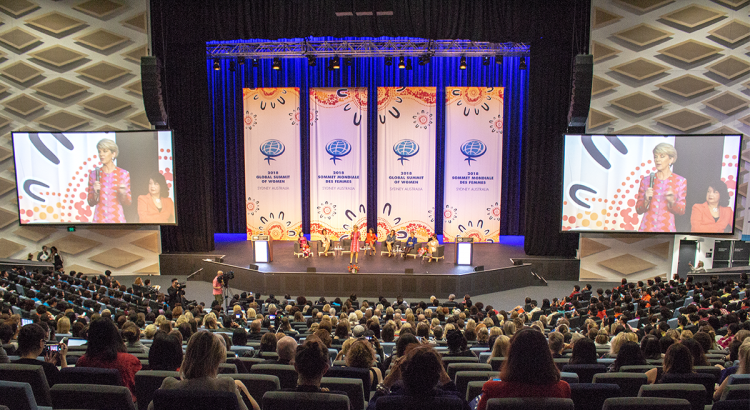 The 2018 Global Summit of Women in Australia! The 2018 Global Summit of Women saw 1,250 female leaders from 65 countries flock to Sydney to discuss women’s vital role in the workplace. The three-day summit shone a light on Australia’s public and private sectors, debating issues regarding gender quotas and discussing ways to achieve a level playing field for women. Congress Rental Australia was chosen to supply the interpretation equipment for the three-day summit at the ICC in Sydney. 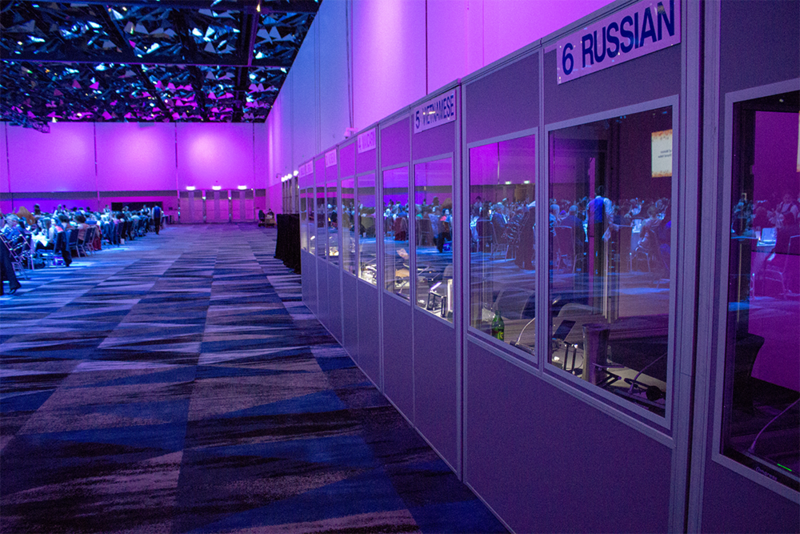 A total of 21 booths were set-up across five different rooms across the ICC to support each event. Seven languages were interpreted throughout the conference while 1,000 interpreter headsets were used throughout the event. Six sound-proof ISO-compliant interpreter booths were set-up on the balcony above the theatre to ensure ample space for audience members below. The Bosch Integrus System was used to transmit the audio feed from the interpreters to the audience members via their hand-held receivers. The team installed radiators strategically around the theatre to transmit the infra-red light around the space. 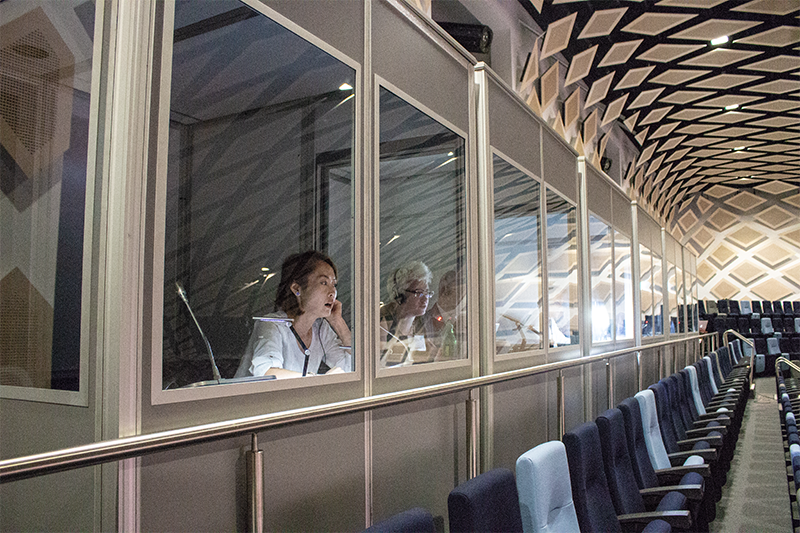 An additional nine interpreter booths were set-up inside three different rooms for the concurrent sessions. During the Awards Gala dinner, which took place on the second night of the event, also required six booths for all attending delegates. The Global Summit of Women connected women from around the globe over the three days by ensuring there was interpretation for each of the speakers. In choosing common languages, they ensured that leaders from over 65 countries could share in the stories and discussions regarding female leadership. The event was a complete success across all five rooms, with all members of the Congress Rental Australia team on-site to oversee the operation of the interpretation equipment! A new era for the CRN Regional meetings!